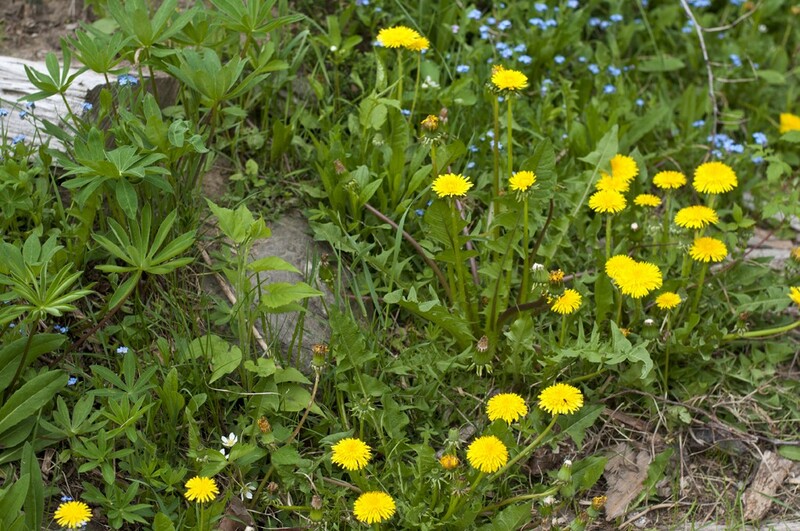 Dandelions: Eat 'em if you got 'em. After high school, I took a year off before heading to college. I spent most of that time screwing around in the Northeast Kingdom and working for the Appalachian Mountain Club, deep in the White Mountains. But in spring 2002, I flew to Europe. I traveled and worked on farms, mostly in Italy. There, life on the road — and, of course, the old Italian farmers and WWOOF-er weirdos I lived with — taught 18-year-old me a few things about eating and cooking. First: The best meals often consist of sturdy bread, handmade cheese and charcuterie or fresh pesto. Second: When cooking, most dishes require just a couple quality ingredients — and a bit of salt. Combine them with care and don't fuss about it too much! 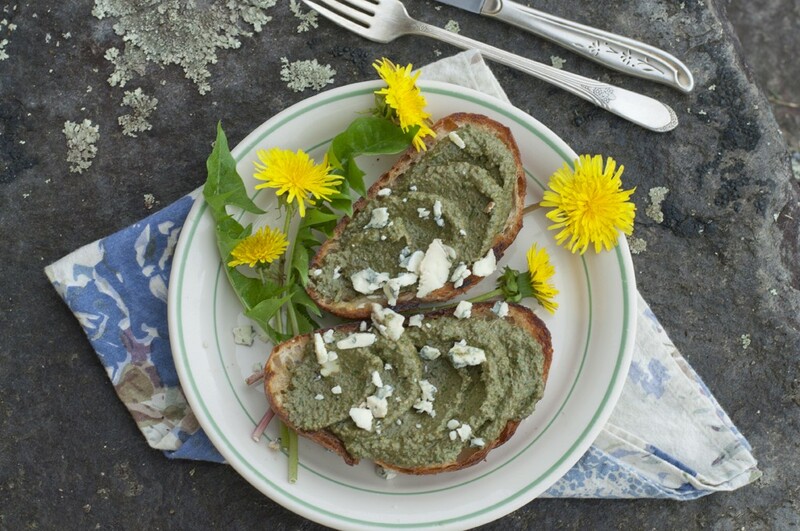 In the spirit of all that, here's an ultra-simple, eat-the-weeds dandelion pesto, made with a little Bayley-Hazen blue cheese from Jasper Hill Farm, which I grabbed at Hand Crafters Hub on my way home from Hill Farmstead Brewery last week. A couple notes: Blanching the greens removes much of their bitterness, though they're pretty tender right now, given the alternately wet and hot weather of late. And most any cheese will work, but I loved the musky twinge of the blue. I spun a batch with feta, too, which made for a creamier, milkier flavor. That works great for folks who have issues digesting lactose. Vegans can hold the cheese altogether and add a little extra salt. Also, I swear by freezing pesto. Put it in a small container or ice cube tray and lay plastic wrap over the top (this will help prevent freezer burn). Seal with a lid or inside a freezer bag and label/date/freeze! You'll thank yourself midwinter when you're craving something green. Blanch the dandelion greens 2-3 minutes, drain briefly, then place in a food processor — it's OK if they're still fairly wet. Add the walnuts, oil and cheese and blend until smooth. Add salt to taste and serve with bread or pasta. Thai Basil Pesto? Oh, Yes, Yes!